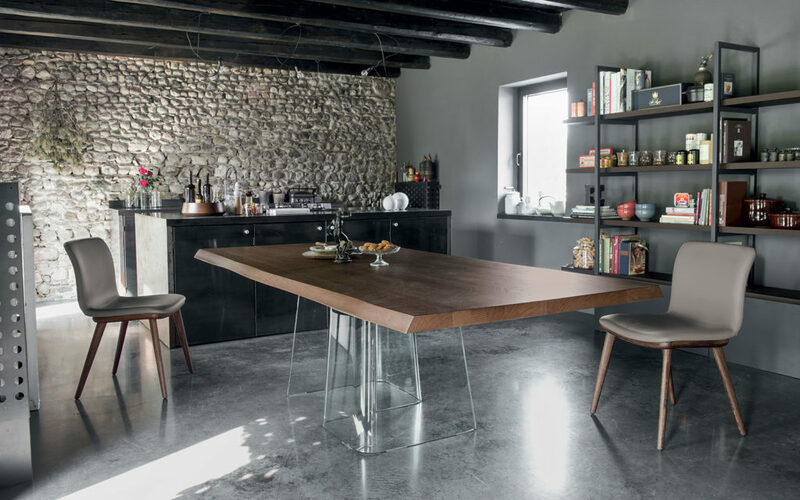 One of the largest independent furniture retailers in the UK, Vale has been established for more than 50 years and stocks over 100 household name brands across multiple outlets. A leading UK retailer for many of the brands they stock, they have recently extended their local network with a new store in the Guildford area. 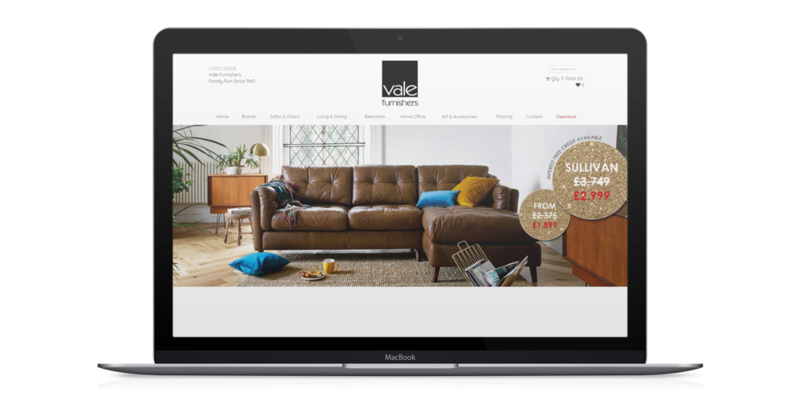 Despite being one of the UK’s leading retailers for the majority of the furniture brands they stock and ranking for hyperlocal Google searches, the client wasn't ranking for the more competitive, high-volume exact brand searches. If their rankings reflected their sales volumes, they would have been in the top five positions in Google's results for a majority of their key brands. However, in many cases, they ranked well outside the top 50 results. According to Internet Retailing, more than 20% of retail sales in the UK during 2016 took place online. Further, a report conducted by the BDI (Brand Development Index) highlighted tech-savvy millennials as a leading market for furniture sales. Customers aged between 18 and 35 make up a quarter of the UK’s population and they don’t just prefer to use the internet, they depend on it. We therefore identified that the client was missing out on reaching a key audience by not appearing on the first two pages of Google for important brand keywords. Online purchasing is growing across every age demographic. The client needed a long term solution to help them attract and build relationships with new customers across the UK without relying on a paid search campaign, which although effective, provides limited lasting value. Being on the first page of Google is vital when consumers are in the research phase of their buying cycle as it allows you to cookie users and target them outside of your website. There was therefore a need to build awareness right at the start of the research phase and expand the client's to the whole of the UK, not just hyperlocal searches. It was integral to build online relationships with old and new customers and it was moreover essential to build a clearer picture of their competitors’ approach to digital marketing, particularly in terms of shareable written content. Additionally, the client wanted their website to be technically optimised to drive increased traffic to key site landing pages and ensure they rank higher in brand specific searches. 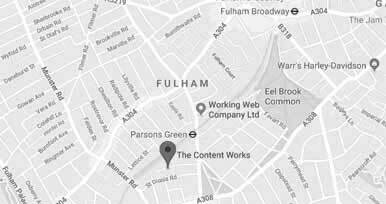 Our team at The Content Works undertook 20 hours of intensive research and problem solving, followed by 20 hours of technical optimisation to improve the existing platform's capability. In order to direct more traffic to the brand landing pages we placed each brand's keyword at the tip of our pyramid and focused our on-page optimisation to build a solid base to our pyramid to ensure that any ranking gains wouldn't diminish over time. Our “hit list” identified the best keyword opportunities for the client, based on search volume, annual value and competitor behaviour. We fully optimised the client's existing content; titles, meta descriptions, URL structure and internal linking. 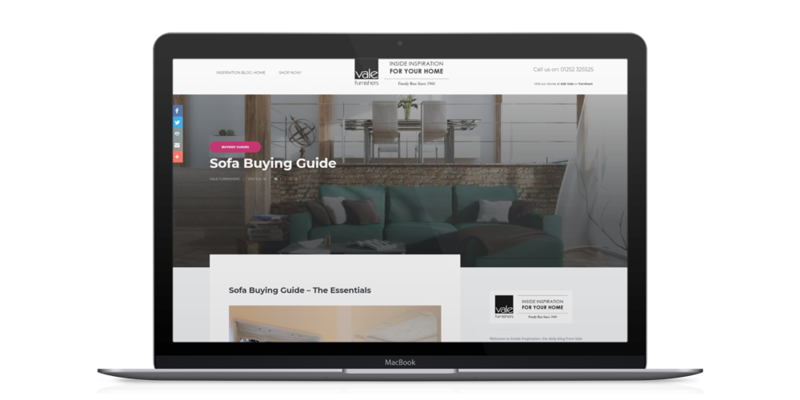 We created new blog posts, helping the client to engage with their target audience whilst maintaining a high-end feel to match their existing market position. From a 180-day campaign to improve targeted organic traffic, the client saw an average pageview increase of 316% across all of their brand landing pages. Just 120 days after the start of the campaign, there were 5x the number of the client's brand pages ranking in the Top 20 Google results for the exact brand search (up from 11 to 55). Thanks to our technical website audit and optimisation, we saw an average ranking increase of 11 positions across the 500 keywords we tracked for the campaign. 90 days after the campaign, the website received 21% more visitors and 24% more page views compared to the previous year. 180 days to devise, create and manage a successful campaign that has positioned the client for stable long-term organic traffic from targeted search queries.